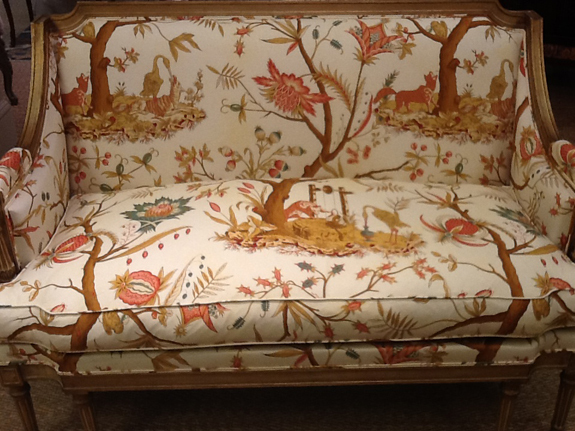 It had THE most beautiful fabric upholstery - it's hard to tell, but the pastoral scene has foxes! I am slightly obsessed with foxes and I love how this fabric takes the russet hue of their coat to create a pattern in oranges, dusty blues, ochre and browns. It's so beautiful in person! 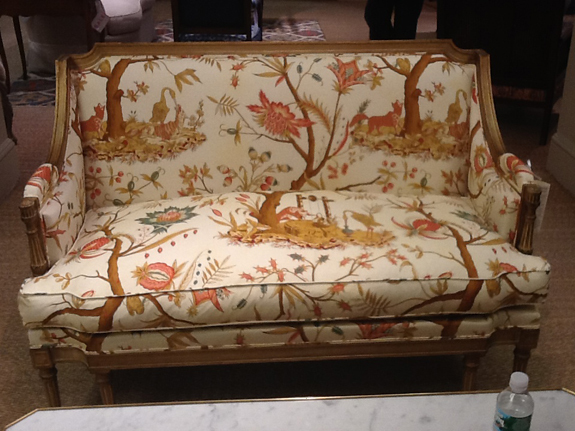 And paired with the lines of that settee...stunning! Only problem is that I forgot to ask in the showroom what the name of this fabric is...anyone know?? i know that fabric well. Do you happen to know the name of it, Renee?